Meet and catch up with other veterans every Tuesday evening, 5-7pm at Saratoga Coffee Traders. 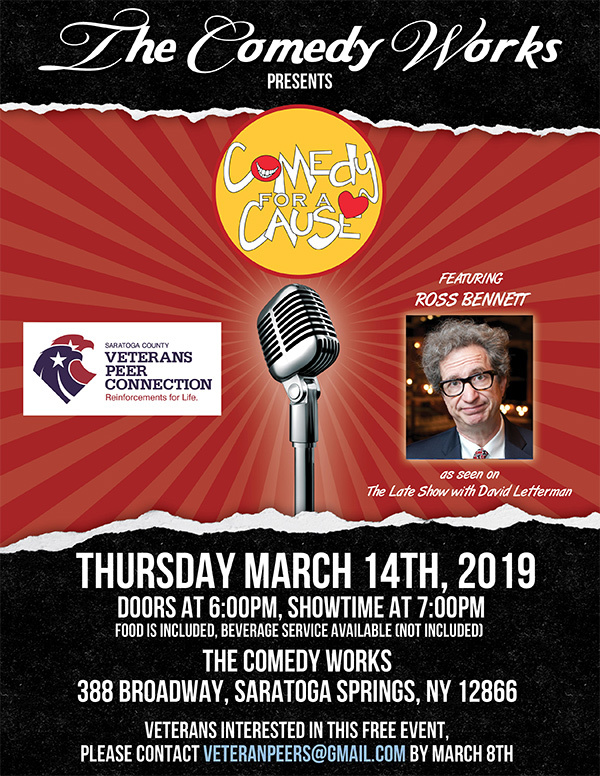 Join us for laughs, food and more at The Comedy Works for a special performance by Ross Bennett (as seen on The Late Show with David Letterman). Join us at a reception at the Mechanicville Public Library in honor of the Faces of Veterans Wall, now on display for the months of March and April. 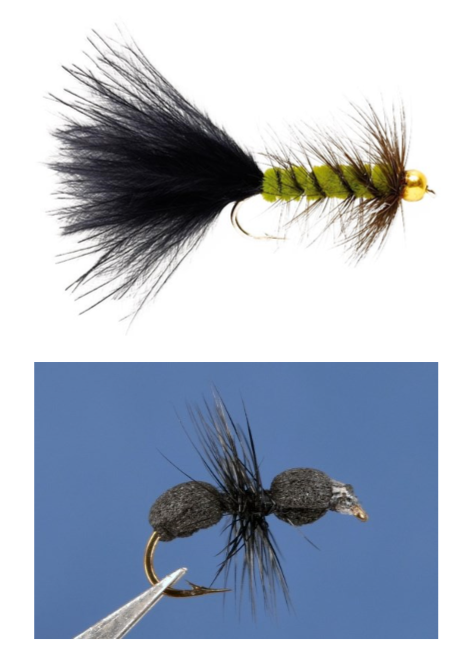 Capital District Fly Fishers will be teaching a Fly Tying Class. Wooly Bugger or Foam Ants will be made - all supplies will be provided. 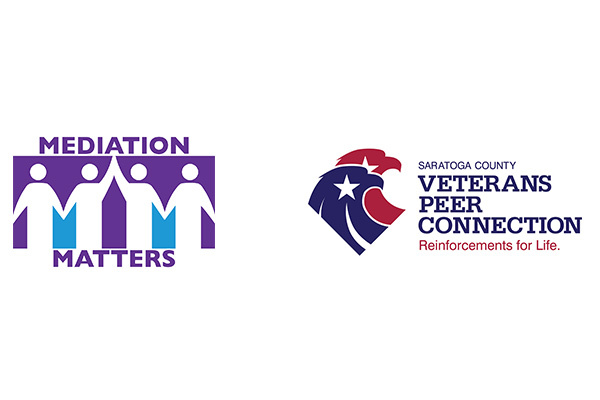 Mediation Matters and their Mediators will be presenting on how mediation can be used; Amy Hughes of Saratoga County Veterans Peer Connection will be giving an overview of the program and discussing mentor training.